125 Young People Take on the Kilbryde Hike adventure! 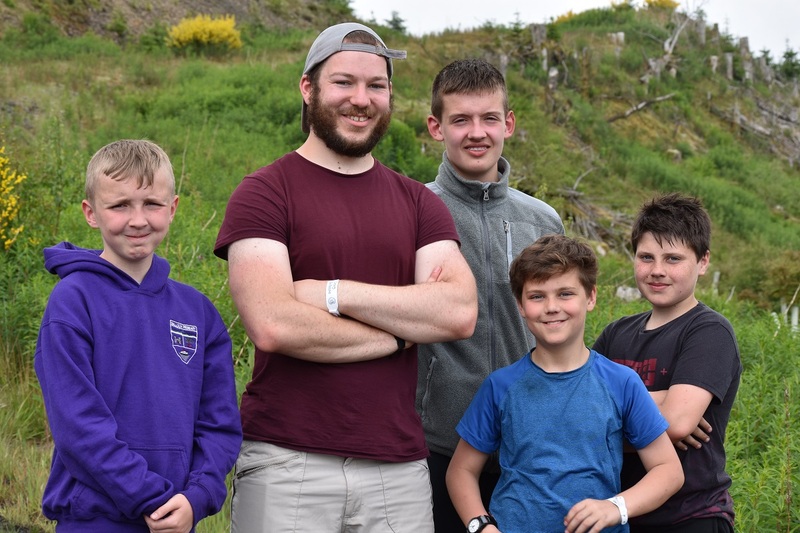 31 Teams from The Boys’ Brigade Girls’ Brigade Scotland and Scouts Scotland competed at this year’s Kilbryde Hike in hills near Crawfordjohn, South Lanarkshire, last weekend (9/10 June). 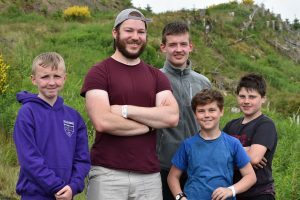 The Hike, run by The Boys’ Brigade, is an annual competitive two-day adventure challenge in the hills of South Lanarkshire and East Ayrshire. In the senior categories, teams covered a gruelling 29 miles and also had to negotiate a series of additional checkpoint incidents, including two water-based challenges. Winning this year’s senior category was a team from 2nd East Kilbride BB company, based in the town’s South Parish church. 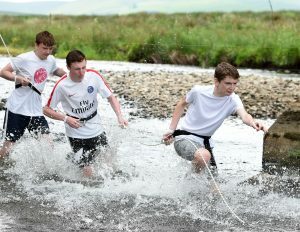 In the ‘Expedition’ category, covering 20 miles, another team from 2nd East Kilbride, also clinched the title. Teams from 25th Stirling BB company, based in Dunblane, triumphed in the ‘Junior’ title and also in the ‘Incidents’ category for their problem solving skills at the checkpoint challenges. “I am very proud of my team. We trained very hard for this event and I am very happy we won the title. The level of competition was very high so respect goes to the other teams. “The Kilbryde Hike offers a great experience. It gets you away from your phones and devices, out into the wilderness – an environment many kids don’t get to enjoy. It’s something you will remember for a very long time. This year’s event attracted a total of 125 young people from 31 teams and also included members from Girls’ Brigade Scotland and Scouts Scotland. For many, this year’s Hike was their first – and for some – their first taste of such an environment. “Despite the midges and the lots of walking, it’s really good fun. It’s great that other organisations get involved in this too. “Many congratulations to everyone who took part in this year’s Kilbryde Hike, especially the winning teams. The Kilbryde Hike has been running for the past 49 years and has given 8,000 young people the chance to build team work, resilience and expedition skills. It welcomes young people from other organisations, including from Girls’ Brigade Scotland, Girlguiding and Scouts Scotland. Next year's Hike , which marks 50 years of the event, takes place over the weekend of 8th & 9th June 2019.